What conditions can photofacial improve? 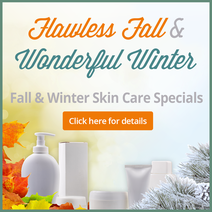 It is primarily used to treat various forms of skin discoloration, working to clear or reduce them much more quickly and effectively than is possible with topical treatments for a brighter, clearer, more youthful-looking appearance. Photofacias, also commonly called photo rejuvenation, has proven very effective at reducing or erasing brownish skin discolorations caused by pigment irregularities. Pigmented lesions, such as solar lentigines, commonly called age spots, liver spots or sun spots, and common freckles can be faded with IPL treatment, as can larger areas of splotchy skin discoloration or overall skin darkening or dulling caused by sun damage. 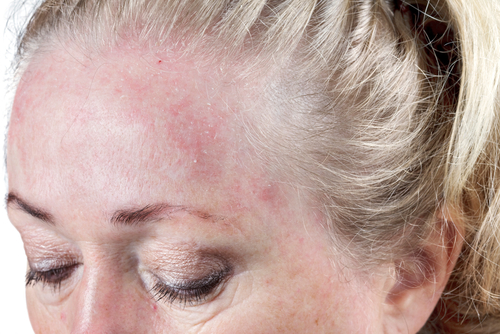 Skin redness or ruddiness can be improved with photo rejuvenation, as can vascular lesions, such as broken capillaries, spider veins and reddish or purple hemangiomas, commonly called birthmarks or strawberry marks. IPL treatment can also improve the appearance of the skin in individuals affected by rosacea, reducing the characteristic red, flushed look it causes. Photofacial works to reduce these skin discolorations by specifically targeting the red or brown pigment they contain. As that pigment absorbs the concentrated light energy emitted by the IPL device, it is gently heated to temperatures that cause it to break up and rise to the skin's surface, where it will be shed from the skin – a process that occurs over a period of 10 to 14 days after treatment. Depending upon the type and severity of skin discolorations present, several sessions may be necessary to obtain optimal results in fading skin spots and improving overall skin tone. There are a lot of advertisements touting photofacial treatment for wrinkle reduction. While photo rejuvenation is very effective for issues related to skin tone and may offer some results in smoothing the skin, it is not the ideal treatment for people in whom lines, wrinkles and texture problems are the primary concern. Those issues are better addressed with other treatments – fractional laser therapy, for instance. So, if you have complexion problems that annoy you when you look in the mirror every morning, photo rejuvenation is a safe, effective means of reducing or eliminating them. IPL sessions are quick with minimal discomfort; most patients liken the sensation to that of the snapping of a rubber band on the skin. The after-effects of treatment are generally limited to mild skin redness and irritation, effects that typically resolve within 2 or 3 days. Results of treatment can last anywhere from 3 months to a year or more before touch-ups are required.